This year my husband build a cold frame for me in our garden. It’s working out nicely so far keeping the soil from freezing and letting my cold weather crops continue to grow. 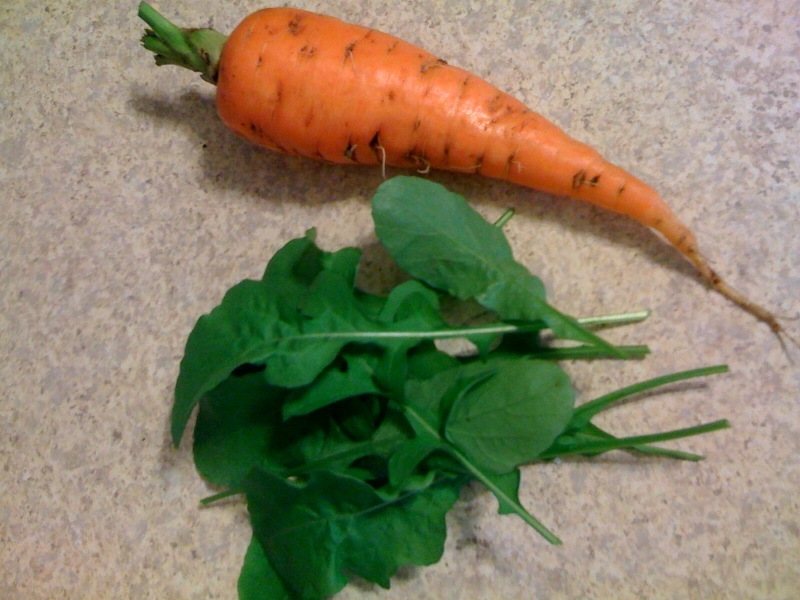 Today I grabbed a carrot and the first little bunch of arugula. There’s nothing like pulling your lunch out of the ground with your own hands. It might not look like much, but combined with some sprouts I’ve been growing (I will talk about sprouting in later entry) and some eggs it made a nice little salad. 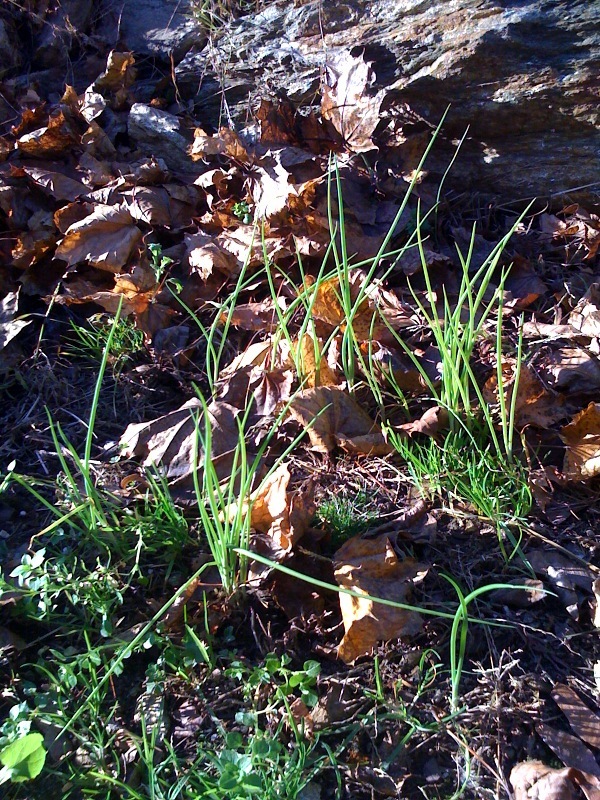 Also, while I was out in my garden I noticed some scallions poking up through the leaves. I had planted them in spring and thought they just didn’t take, but here they are! Entry filed under: My Garden. Tags: Cold Frame, Gardening, Sustainable Agriculture.